You are here: Home » DV Act Judgments » Does Karnataka HC judgment allows for DV complaints on wives by husbands? The Protection of Women from Domestic Violence Act, 2005, or PWDVA, 2005 or DV Act in short, is very clear on one point. It is only for protection of women (practically speaking only wives use it) in a household. The name of the act itself makes it very clear. Update 28/04/2017: This order has been withdrawn, see end of post for screenshot from Karnataka HC website. In this connection, it is to be noticed that the said issue was subject matter of an appeal before the Apex Court in the case of Hiral P. Harsora v. Kusum Narottamdas Harsora, (2016) 10 SCC 165, wherein the Supreme Court has struck down a portion of Section 2(a) on the ground that it is violative of Article 14 of the Constitution of India and the phrase “adult male” as appearing in Section 2(q) stood deleted. If the said sub-section is read after deleting the expression ‘adult male’, it would appear that any person, whether male or female, aggrieved and alleging violation of the provisions of the Act could invoke the provisions under the Act. In that view of the matter, the petitioner’s complaint could not have been trashed on the ground that the Act does not contemplate provision for men and it could only be in respect of women. 2. The present appeal arises out of a judgment dated 25.9.2014 of a Division Bench of the Bombay High Court. It raises an important question as to the constitutional validity of Section 2(q) of the Protection of Women from Domestic Violence Act, 2005, (hereinafter referred to as “the 2005 Act”). 46. We, therefore, set aside the impugned judgment of the Bombay High Court and declare that the words “adult male” in Section 2(q) of the 2005 Act will stand deleted since these words do not square with Article 14 of the Constitution of India. Consequently, the proviso to Section 2(q), being rendered otiose, also stands deleted. So this Karnataka HC judgment which allows for husband’s DV complaint against wife and in-laws to be considered by referring to above SC judgment is not right in law. It seems to suggest that SC judgment had changed definition of Section 2(a) whereas that was never even a point raised. If the point was to be made that it is not morally or constitutionally right to give protection from domestic violence only to women in household, then that argument can be made on its own merits provided the PWDVA Section 2(a) is challenged appropriately of course, but referring to Harsora vs Harsora judgment by SC is not right since that judgment went only into question of whether females can be respondents under DV Act, not whether males can be aggrieved persons who can file complaint under DV Act. 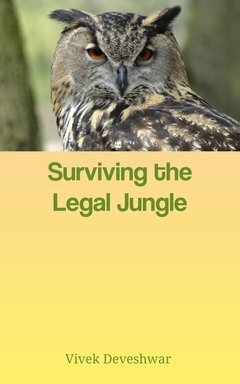 This judgment suggests that one should rely on one’s own reading of law and judgments, and not blindly follow authority. 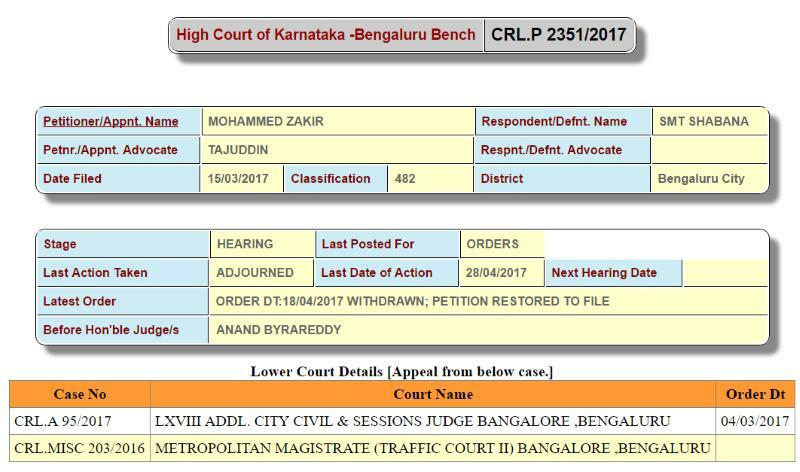 Judge, Bangalore order dated 04.03.2017.
phrase “adult male” as appearing in Section 2(q) stood deleted. provision for men and it could only be in respect of women. With that observation, the petition is allowed. I fighting DV, 498A and a divorce case. I’m paying maintenance every month. I’m nit bound to pay the school fee of the kid whom I v=never took home. All the orders have passed in her favor without asking for proper evidence of the allegations she has put on me. What should I do except suicide? There is no law or judgment like that. The Karnatak HC judgement, though withdrawn, sets in motion, a wave against the nonsensical provision of more than equal rights to women in the 2nd decade of the 21st century when W and M are equal in all respects(though opposite in direction? ).In fact, apart from the IPC 498A, there is no other special Act which treats M and W so glaringly different, as the PWDV Act. Effort must be made to take out the W from the Act to make it gender-neutral like the Dowry Prohibition Act, Hindu Marriage Act, in the spirit of our Constitution.